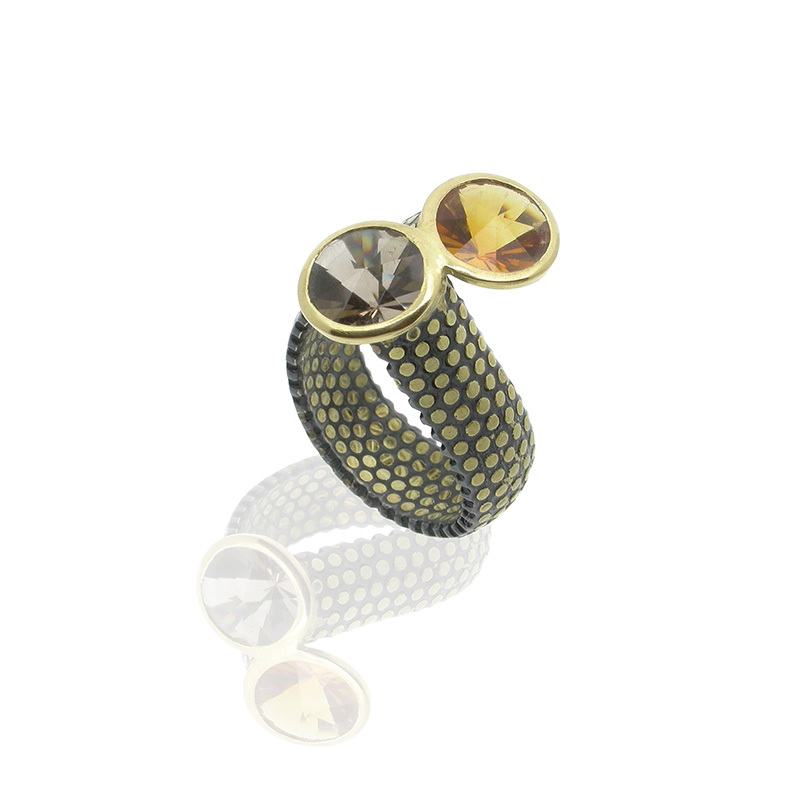 Salima Thakker studied jewellery design at the Royal Academy of Antwerp and the Royal College in Londen. She designs with the empowered woman in mind and is known for her sophisticated and feminine creations with an emphasis on statement pieces that translate into today’s contemporary lifestyle. Salima illustrates a fine and delicate craftsmanship that reflects the uncompromising quality of her creations. Every piece is handmade in Belgium by Salima herself and available in your choice of Platinum or 18 karat gold.. She receives regular coverage from the international press and specialized magazines and has been granted awards such as the Worshipful Goldsmiths’ Craftsmanship And Henry Van De Velde Award for Best Product.